Turbine meters are an ideal solution when high accuracy, compact size, fast response, and high tolerance to shock and vibration are critical requirements. 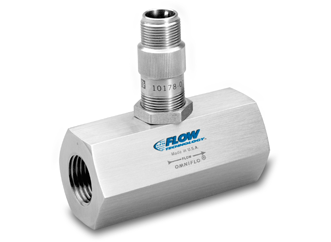 The Omniflo® turbine flowmeters utilize a low frictional drag bearing in a tangential design allowing the measurement of very low flow rates in either liquid or gas. These high resolution, low flow sensing instruments are capable of measuring flow rates as low as 0.001 GPM in liquids and 0.0015 ACFM in gasses. Process as well as test & measurement applications. 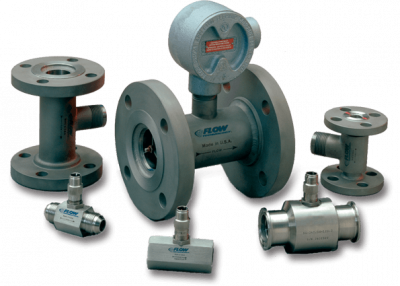 FT Series flow meters are used in a wide variety of applications. Some examples are automotive and aerospace test stands; subsea control systems; feedback and control systems on aeroderivative turbine generators; as well as general purpose industrial flow measurements. The full range of bearings, end connections, calibrations and electronics are available for this series making it the most versatile, capable of meeting a wide range of applications.